What comes to your mind when you think of the word Luxury? Marvellous Macaroons courtesy of Ladurée? A night in white on P Diddy’s Yacht? For many,these luxuries are but a pipe dream. For a few they are a lifestyle. Yet for a week, or more if you’re lucky, a trip to Mauritius can give you a glimpse into real glamour, a sneaky peak at satisfaction, and a glance at gratification. Mauritius really has become the ‘go-to’ destination for all things Luxury. An increasingly popular holiday destination, Mauritius is becoming synonymous with its exorbitance and love for all things splendid. 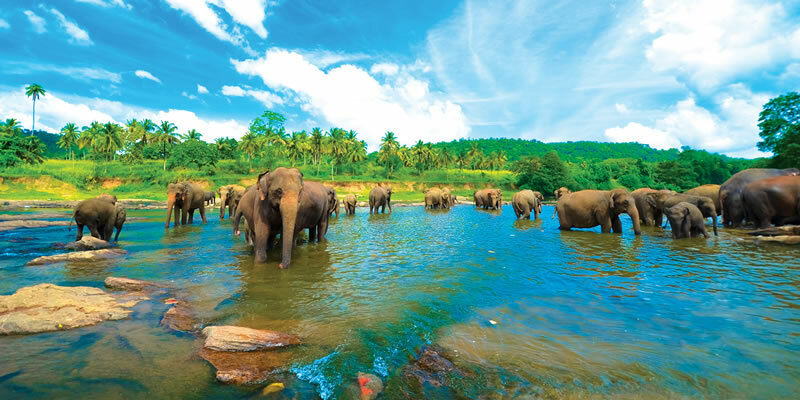 The tropical paradise doesn’t do things by halves and it isn’t shy about its affluent heritage, opening its doors to the world all year round for anyone wanting a break in paradise. 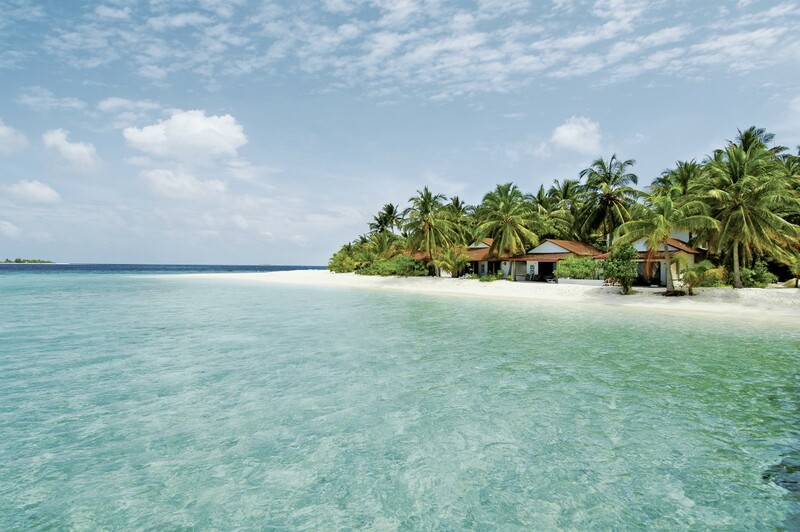 With a selection of hotels spanning up to 5 stars (some are considered the top in the world) the award winning island really doesn’t disappoint. Receiving the World Leading Island Destination award for the third time in 2011 and World’s Best Beach at the World Travel Awards 2012, its beauty is consistently awarded. The hotels and resorts on the island really have become ambassadors for providing the welcoming extravagance that populates your dreams. Whilst the island itself is a paradise off the Indian Ocean, some of the hotels are so uber-luxe that you may not need to cross the perimeter of your resort. From all inclusive to designer boutiques, you will find each of the hotels and resorts have a unique identity and a flair for their niche. The Heritage range of resorts encapsulate this theme entirely. Providing unmatched indulgence, heritage certainly don’t do things by halves, in fact they do it in threes! The tremendous trio of resorts really are second to none, globally a class of their own. Heritage Le Telfair gracefully merges with the effortless beauty of the Indian Ocean. Taking hints from its colonial past the resort is inspired by sweeping Mauritian architecture. The jewel in its crown? It’s a Golf and Spa resort, perfect for whiling away the hours teeing off or melting into a massage. At the Heritage Awali Golf & Spa Resort you will this time find yourself thrown into a sensory African experience. The African influence subtly sets it apart from the rest. Plus as is the heritage way, relaxation is still a priority. With the Seven Colours Spa and the Umuzi Sports Centre providing a whole host of activities designed to wash away all of your tensions. Heritage the Villas really solidifies the greatness of the Heritage family. Take a dip into the infinity pool that flows into the Mauritian horizon. Take some time out on your terrace and take in the paradise around you. The Villas open up a world of luxury that you can only dream of, and marry it to the type of independence that truly lets you tailor your own holiday, with no compromise on the five star service. Mauritius really is yours for the taking. The Mauritius luxury experience really does tempt all the senses. Whether you’re enamoured by the breath-taking views, incredulous about the infinity pools, or overwhelmed by the opulence of your surroundings. One thing is for sure, you don’t need to search far to find the most fabulous food. The island offers a captivating combo of history and multicultural society in all of its dishes. The restaurants in the area really do reflect its heritage, with Creole, African, Asian, and French fancies mixing to offer a taste sensation. It is truly hard to match Mauritius’s gourmet cuisine. With a myriad of international restaurants, some host to Michelin stars and celebrity chefs, you will be spoiled for choice. It’s no wonder that 2013 was declared ‘The Year of Mauritian Gastronomy’. For an authentic Mauritian experience in close proximity to the heritage resorts, the spotlight is on Le Château de Bel Ombre. Candlelit with silver service, romanticism is not lost at this gastro delight and it’s hardly surprising that this is one of the island’s most popular wedding spots. In keeping with the island’s history, the restaurant is a restored colonial mansion dating back to the 1800s. Heaped in history, you can almost taste the culture as the majority of the ingredients used in the kitchen hail from the verdant hills and sugar fields of Domaine de Bel Ombre nearby. The Flair for luxury really isn’t lost on the locals. 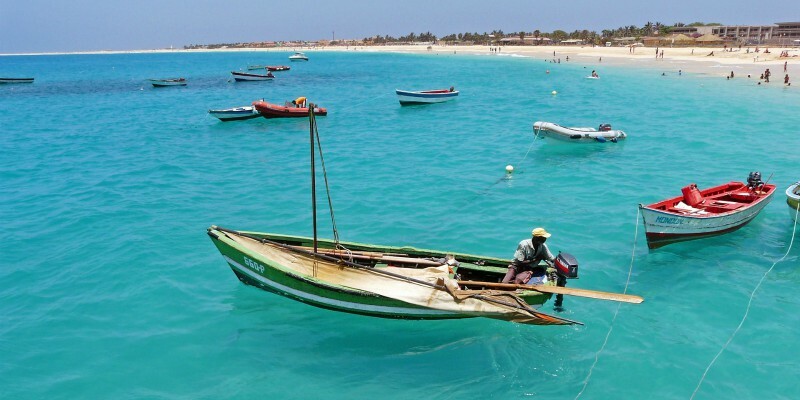 Just like the 5 star resorts that surround them, the locals have a panache for pinpointing paradise. 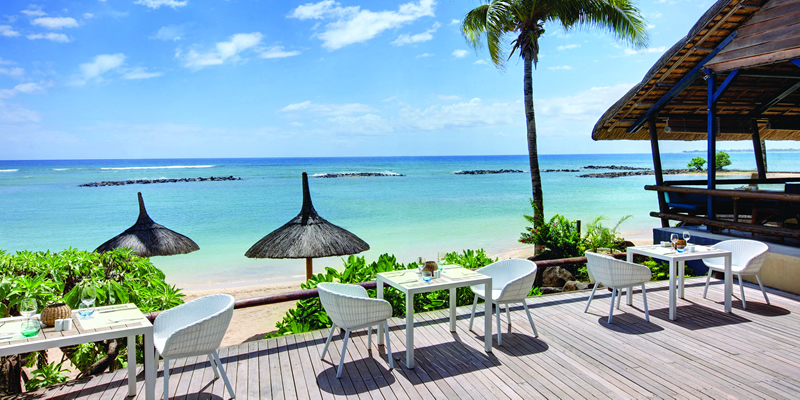 When we said that Mauritius is unmatched in luxury, we truly meant it. The locals clearly take pride in their island. Whether it be their mastery at creating marvellous Mauritian cuisine, or their aptness of accomplishing the most body melting massage, you will be made to feel nothing but welcome. Any holiday comes at a price, some higher than others, one thing you can count on with Mauritius is that your tropical experience here is priceless. You can’t be surrounded by luxury or enveloped in excess without treating yourself to a spot of shopping. Building up a reputation as a shopper’s haven, here you’ll be treated beyond compare. The hordes of shopping options offer value-for-money on your purchases. Whether you’re captured by Chanel, enamoured by Armani, or you just can’t pull yourself away from Prada, you can flit from indulgent designer to uncompromising Mauritian material. It truly is what you make of it, and you can get amongst the bustling Mauritius markets or simply peruse the designer malls. Take your trip to the next level with a visit to the Diamond Factory, where you may find it hard not to get carried away and leave with a gleaming rock on your finger. It may not be a diamond, but you’ll have every opportunity to bring back the souvenir that the family at home are expecting. Treat them to something unique, whether it be a personalised purse or fantastical flavoured tea, so that even those at home will be able to get a taste of the extravagance you have experienced. Another string to Mauritius’ luxury bow is the plethora of activities available. With its Indian Ocean setting, water sports, nautical activities, and land-based fun are out there for the taking. Absorb the scenery with a touch of adrenaline by braving the zip-lines and mountain climbs. The island’s beaches really are at your disposal. Grab your dinghy, pick up a pedal-boat, or snap up a speed boat for water-skiing. If you want to spend your hours on the island seeking excitement, don’t let the laid-back façade fool you. Mauritius is a master at multitasking to suit every holiday need. By this point you have likely packed your best holiday ensemble, planned your perfect Mauritian menu, and saved for a splurge at a designer mall. If you haven’t, what are you waiting for? Mauritius is waiting for you with open (bejewelled) arms. I joined Blue Bay Travel in October 2014 as a Marketing Assistant, following a career and degree in Marketing Management. My role involves looking after our Social Media channels including Facebook, Twitter & Instagram, plus all sorts of exciting PR, copywriting and product research.